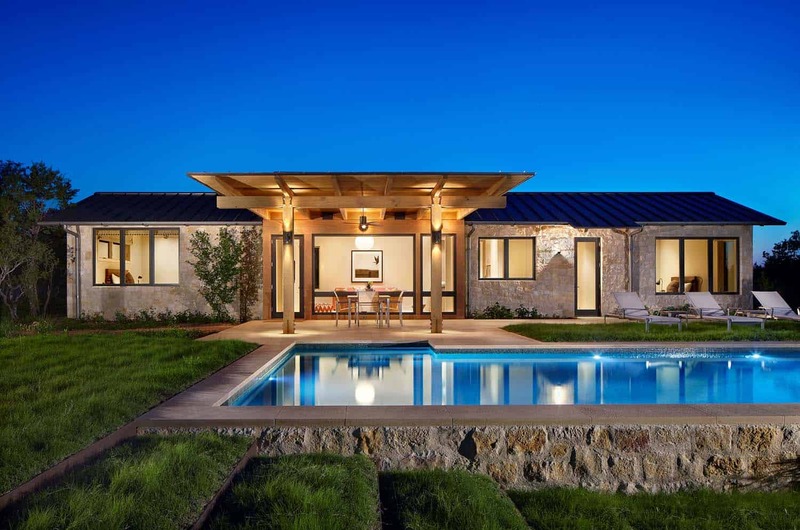 This stunning ranch style home showcases posh contemporary interiors, designed by Furman + Keil Architects, located sixty miles from Austin in the Texas Hill Country of Spicewood, Texas. 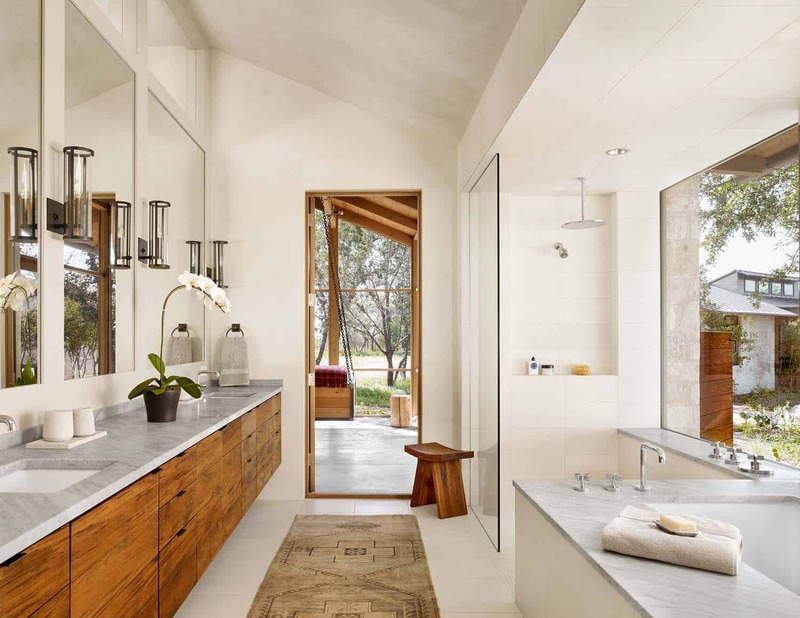 This breathtaking residence is the result of a three-year collaborative effort between the Furman +Keil Architects, Mark Ashby Design and builder Classic Constructors. 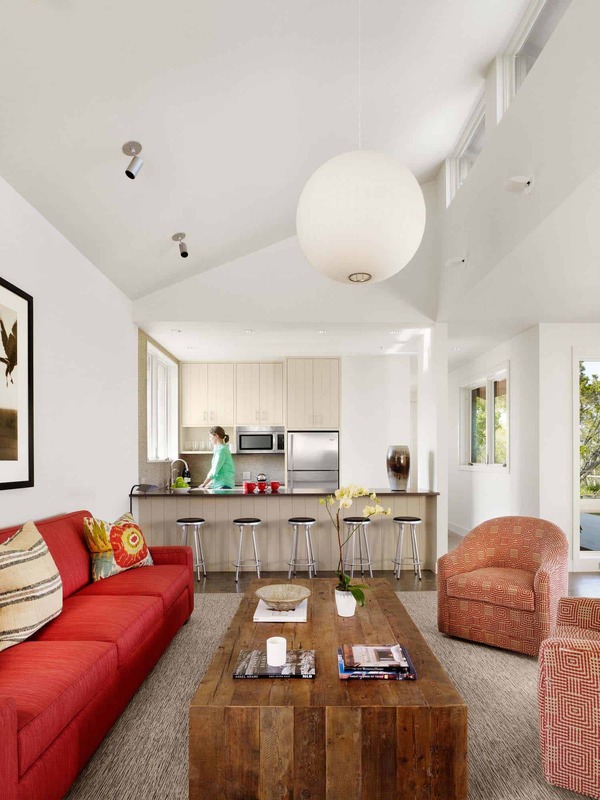 The property offers expansive indoor and outdoor living spaces, which includes three bedrooms and an open sleeping porch. There is also a spacious guest house adjacent to the swimming pool. 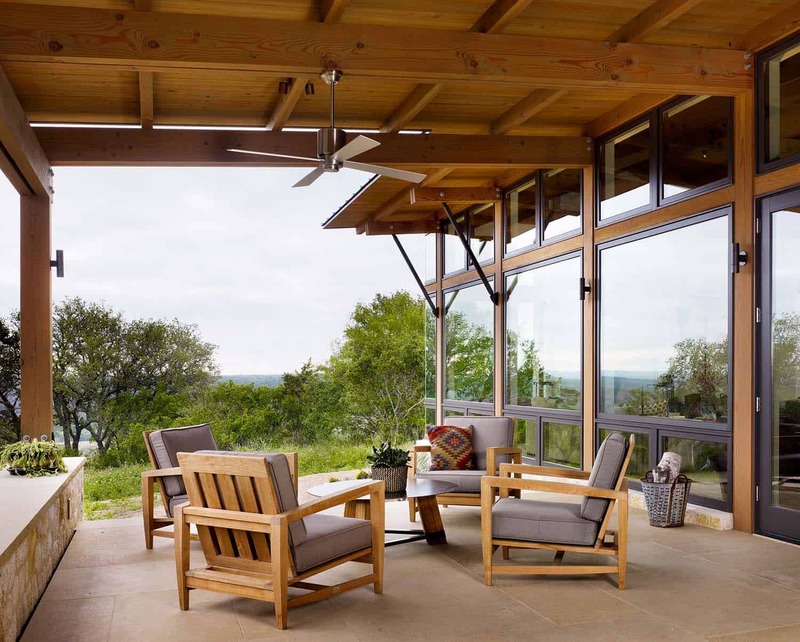 From every space in the home, the design team made sure to take full advantage of the expansive views. 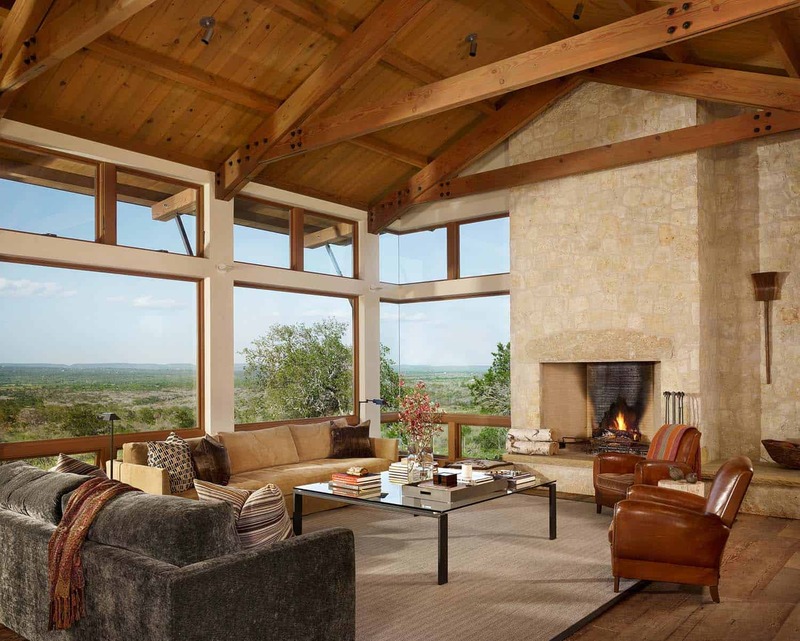 The cozy living room features expansive walls of windows framing beautiful views of the Texas Hill Country. 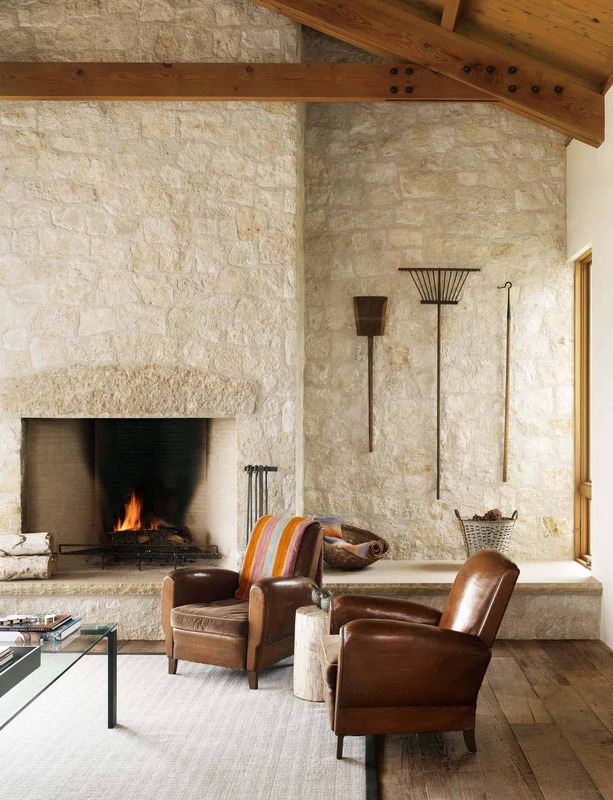 A cozy seating arrangement around the limestone fireplace invites engaging conversation with family and friends. 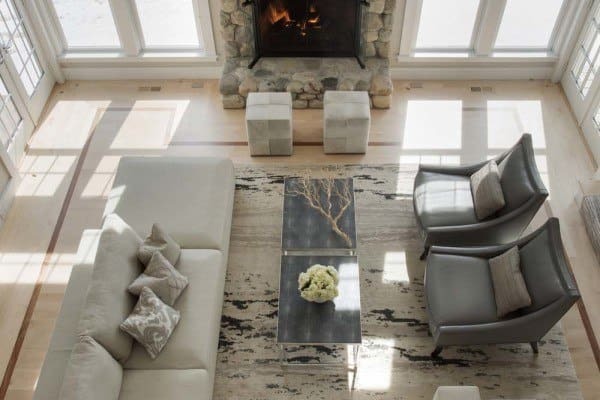 Contemporary furnishings are cozy and warm, welcoming you to sit down and stay awhile. 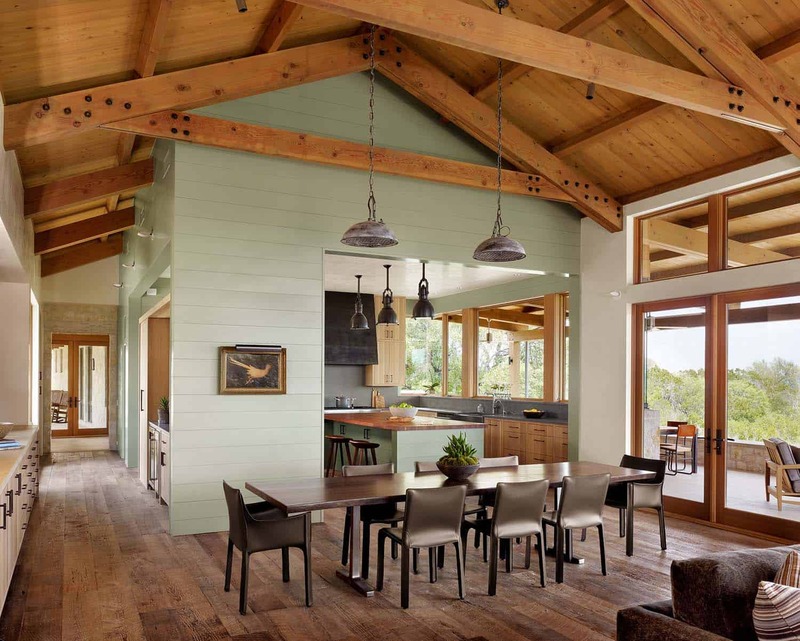 The color palette was inspired by what you see outdoors, while the furnishings were selected to get better with age. 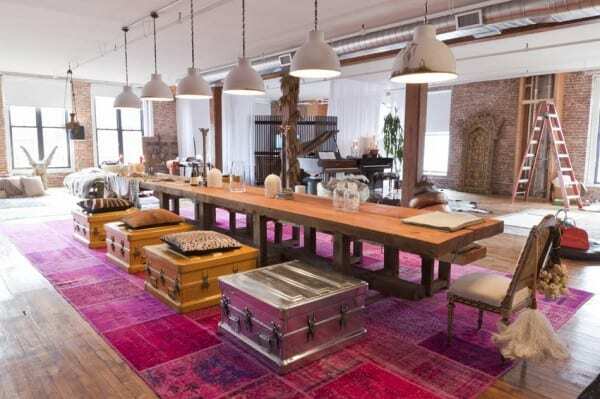 This includes suede, leathers and natural linens that will patina over time. 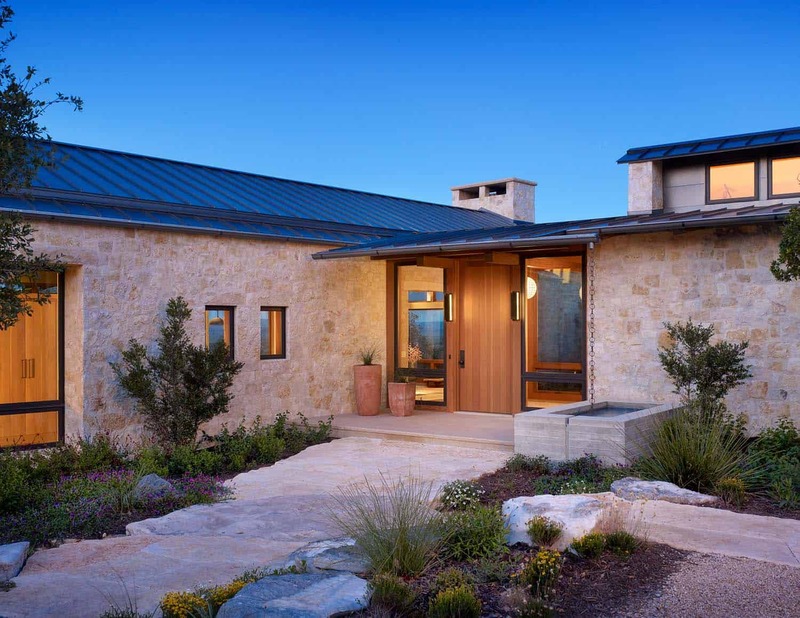 What We Love: The project brief was to construct a home with a ranch style feel, but that was also fresh. 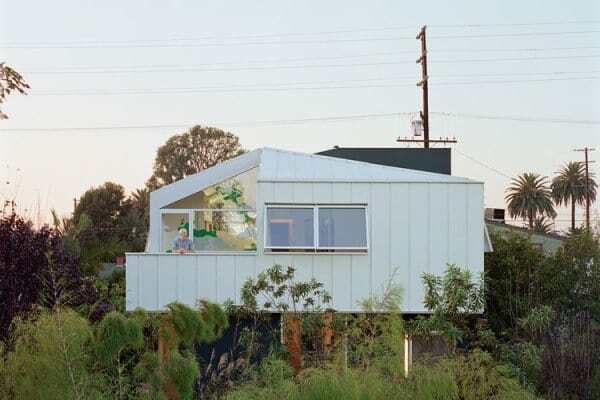 This allowed for a more innovative design, which includes an open living-dining space, while the kitchen is its own small building. 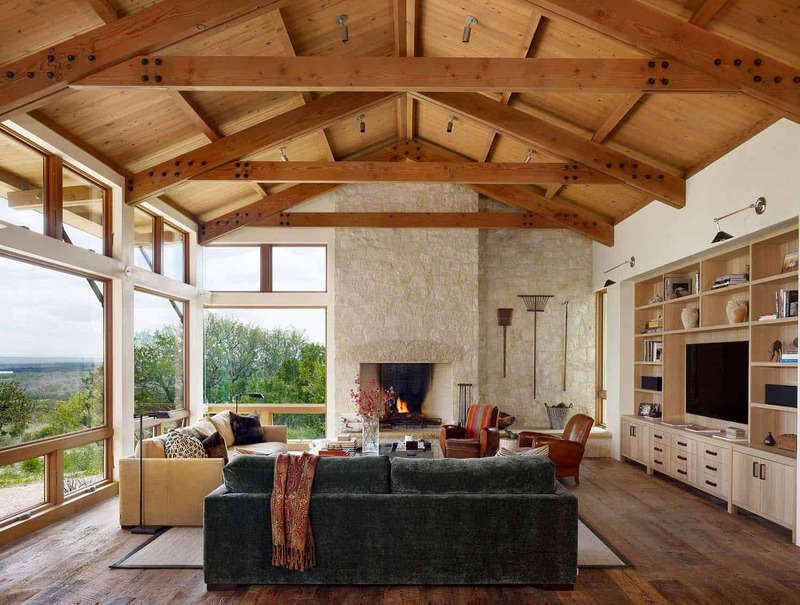 Deviating further from tradition, this home features expansive windows that wrap seamlessly around corners, capturing incredible views. 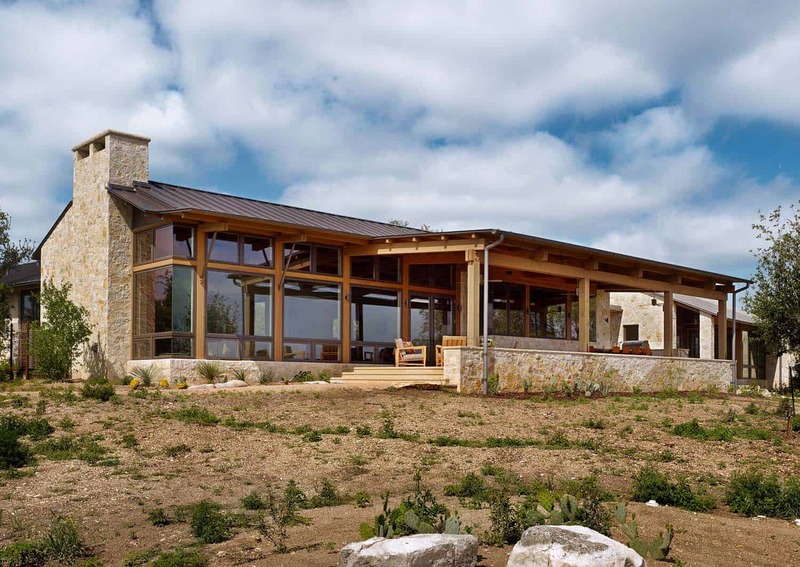 Readers, please share with us your overall thoughts on the design of this ranch style home in the Comments below! 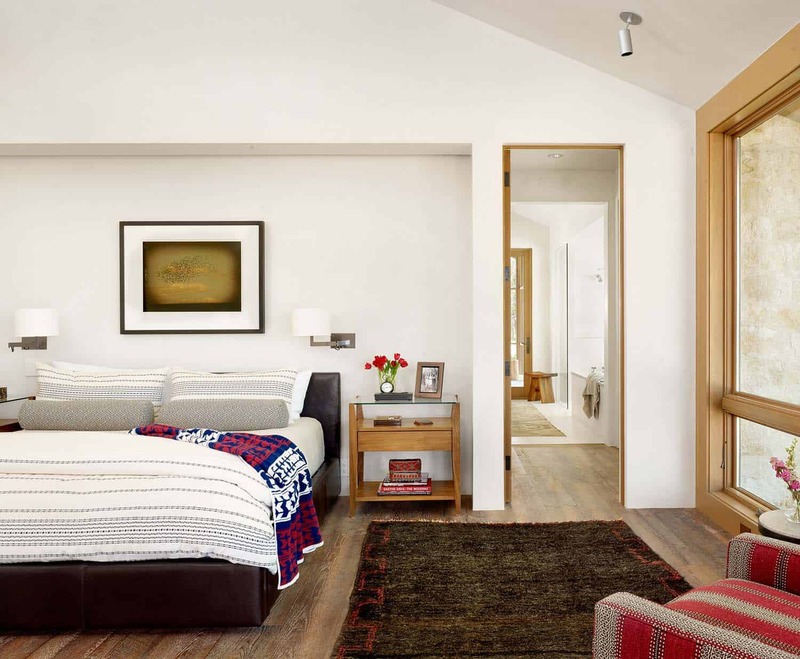 Warm wood flooring can be seen throughout most of the living spaces. 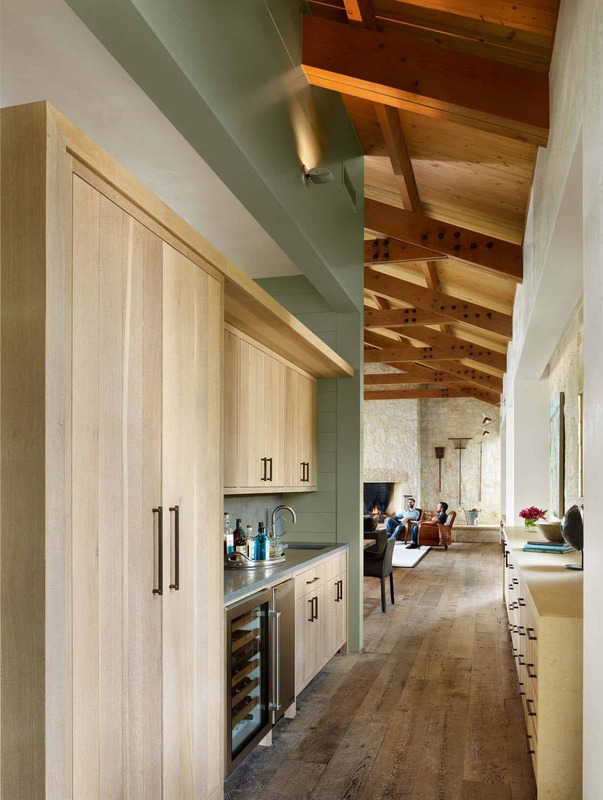 In the kitchen a spacious island allows plenty of space for chopping and for casual dining. 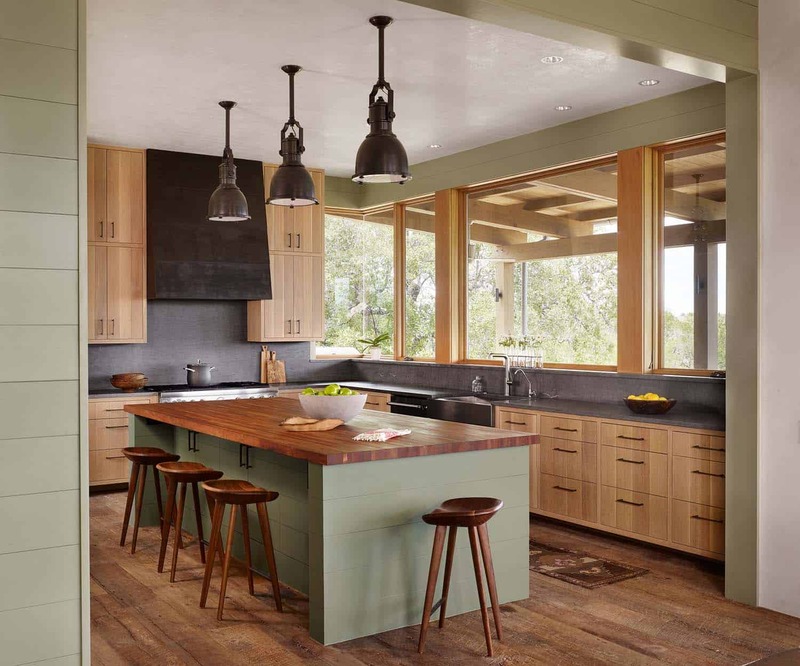 Pendant lights illuminates the space, while a wood butcher block complimented by a soft green is picked up from the surrounding walls that frames the kitchen. 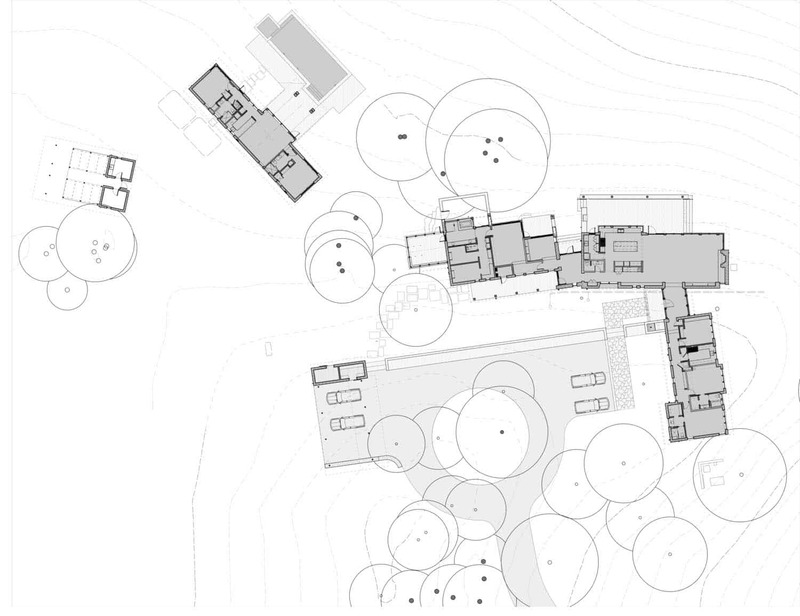 Above: This limestone house sits perched atop a knoll, with a 915-foot elevation. 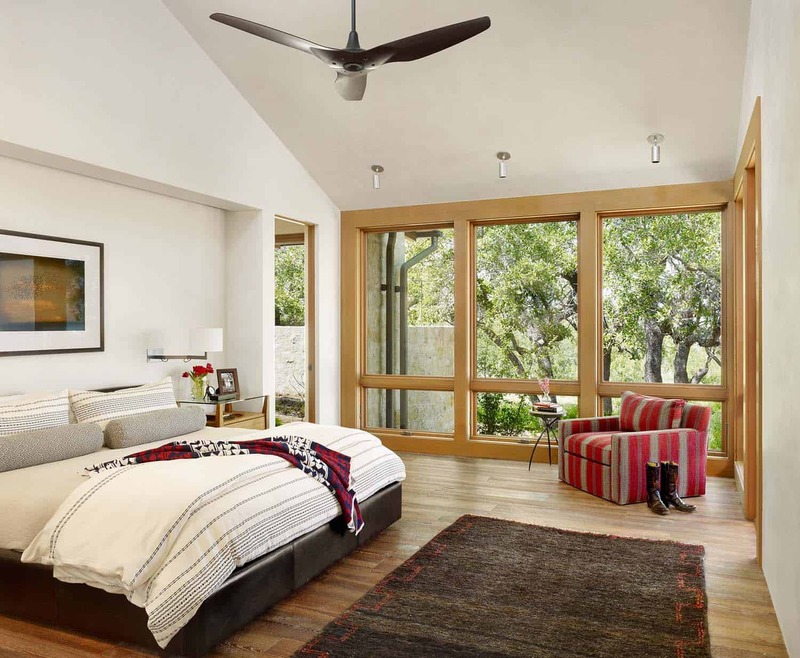 Walls of glass frames panoramic views of the spectacular countryside. 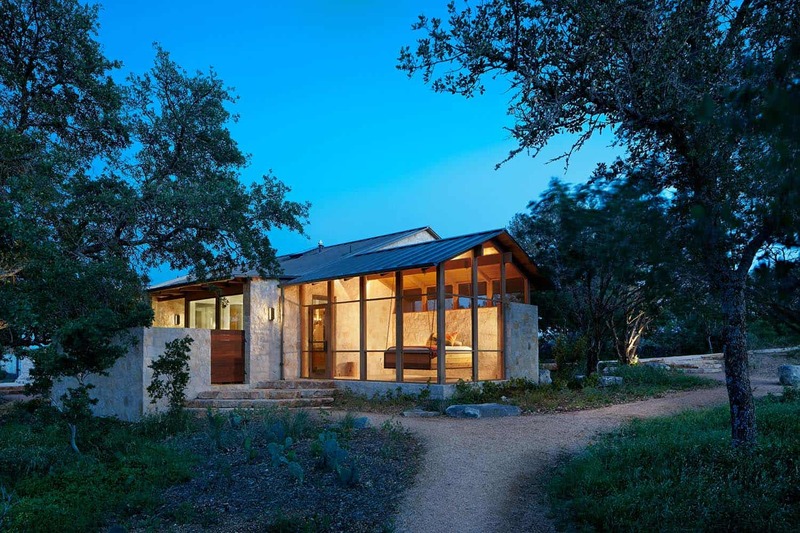 Glass-walled vestibules connects the home’s individual limestone structures, designed to evoke the feeling of stepping out into the landscape. 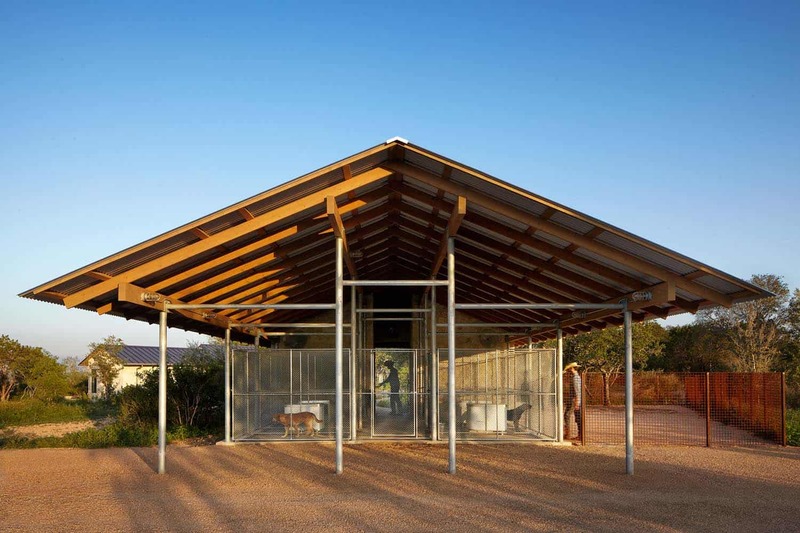 Above: A screened-in sleeping porch can be seen on the right side of the limestone building. 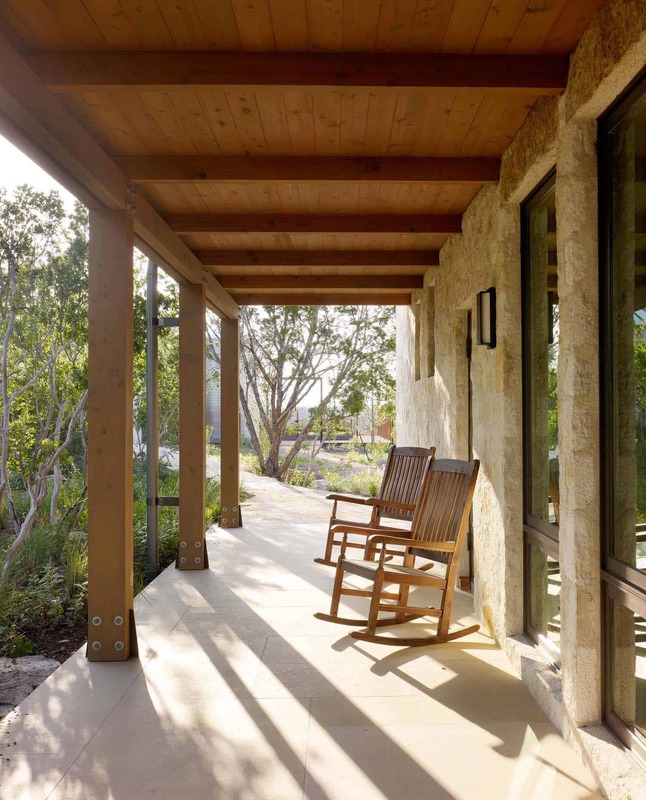 It is a place to enjoy soothing breezes and the sounds of insects on balmy evenings. 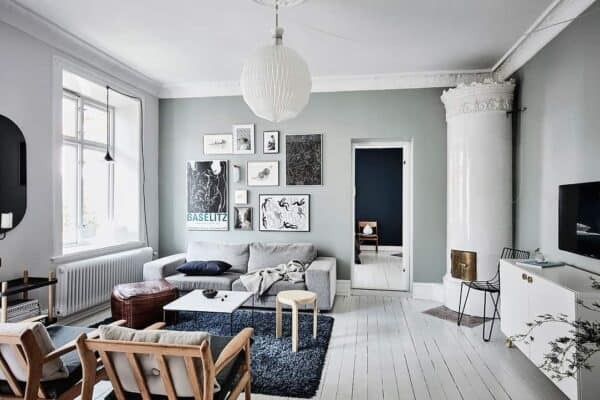 Love the simplicity, fresh pops of color and the natural look.